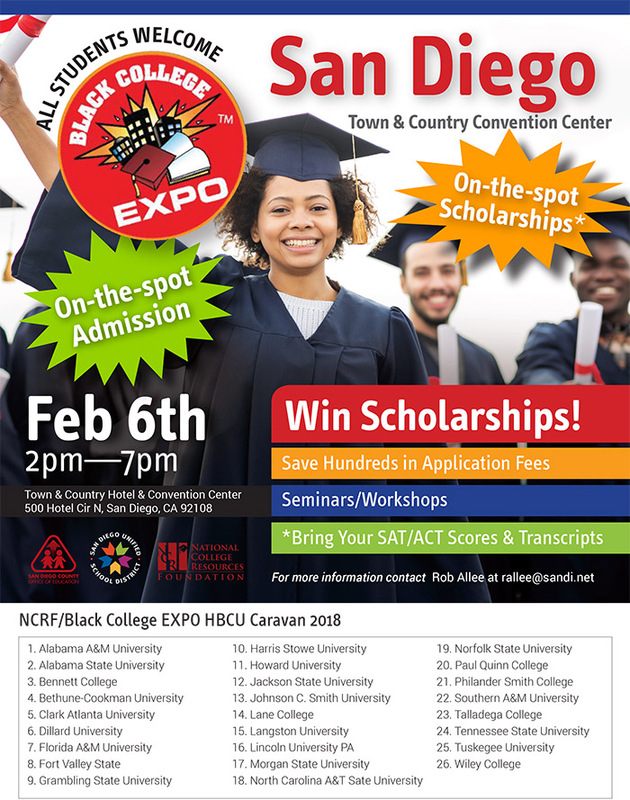 The National College Resource Foundation, in conjunction with San Diego County Office of Education and San Diego Unified School District, will be hosting “Black College Expo” for the first time here in San Diego. This is an amazing opportunity for all students to inquiry, apply, and receive on-the-spot admission and scholarships from the participating colleges and universities. This event is in it’s 19th year and has provided opportunities for all students to attend college. Buses will be provided at the following locations: Morse, Crawford, Hoover, Lincoln, and San Diego High—leaving each respective school at 3pm and returning around 7pm.